We have cost effective Air Pollution Control System manufacturers and exporters. We can design the system as per the specifications given by client. 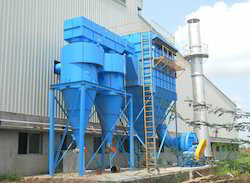 Optimizing with the latest technology, we manufacture and supply a wide spectrum of Industrial Dust Collector that are designed to handle heavy dust loads. Our range of dust collectors comprise of blowers, Dust filters, filter cleaning system and a receptacle or dust removal system. Known for their efficient performance, these are also available in customized options to the clients. The water cyclone (Air Pollution Controller) availed by us are in high demand in the domestic market and the foreign front. They are designed and manufactured at our unit. Our skilled professionals aid in catering to our clients efficiently. Available in various models they conform to the industry standards and are high on performance and durability. We provide a type of design and engineering system which is basically Wind Fence System, Various factors while to be taken into consideration while designing are Ambient air/dust control effectiveness. Above Product is designed keeping in mind the industrial requirement a, which gives you very specific result according to the requirement. In order to meet key requirements of the clients, we are engaged in providing Air Pollution Control Equipments that is developed by skilled professionals. Duct Collection System is commonly known as bag-house. They are one of the most efficient and cost effective types of dust collectors available and can achieve a collection efficiency of more than 99% for very fine particulates. 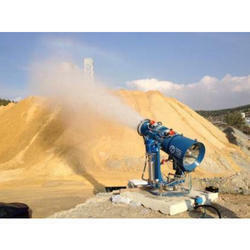 We are Manufacture and Supplier of the Air Pollution Control Equipment.